That didn’t take long: 100,000 Iranians have already joined the Telegram messenger group linked to the Israeli water website, which aims to save lives in Iran by giving away information on water conservation. Furthermore, the website was only announced nine days ago by Israeli Prime Minister Benjamin Netanyahu—and that’s not the only response Israel has been receiving from Iranians. 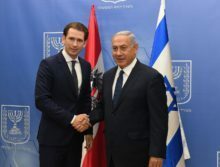 PM Netanyahu & Austrian Chancellor Kurz. 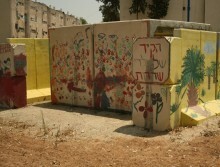 Photo courtesy of Haim Zach (GPO). According to this world leader, Israel’s security is a moral obligation and has promised to keep telling the Middle East and Europe that “Israel is here to stay.” Those words weren’t posted to Twitter by Israeli Prime Minister Benjamin Netanyahu, but on the account of Austrian Chancellor Sebastian Kurz. 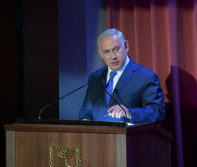 “It is our duty & obligation to ensure that the #Shoah will never happen again, to fight all forms of anti-Semitism w determination and to ensure that we will never forget these horrible crimes,” tweeted Kurz, referencing the Hebrew word for the Holocaust in a series of posts following a speech given to the American Jewish Committee in Jerusalem on Monday. “As Austrians we will support #Israel whenever it is threatened. It‘s our moral obligation, our ‚Staatsräson‘, to be committed to the security of Israel which is not negotiable to us,” tweeted Kurz. Terrorists in Gaza have launched a new terror campaign against Israel as part of the regular riots near the fence between Gaza and Israel—kites lit on fire flown over the border intended to start wildfires. In response, one of the Israeli towns near Gaza—Sderot—has their own kite plan: a kite-making festival with a message of peace. 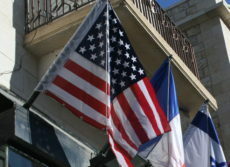 The town is hosting on Monday the workshop for children in the area that will allow each kid to make their own kites with a personal message in them. Afterwards, the children “will fly their kites replete with positive messages, in a kind of therapeutic activity,” said a press release from the Sderot Municipality Spokesperson. Israel and Russia are taking Syria. 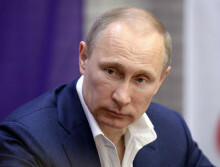 Russian President Vladimir Putin. Illustrative. Photo courtesy of the office of the President of Russia. 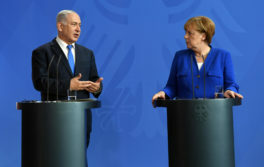 Just days after a discussion with Russian President Vladimir Putin, Israeli Prime Minister Benjamin Netanyahu will be leaving on Monday for Europe to meet with the leaders of Germany, France, and the United Kingdom. On the docket for all these conversations: Iran, including Iranian forces in Syria.